Catch up on this new jam from D’banj – Something For Something ft. Cassper Nyovest out now! Straight out from the stables of DB Records is a brand new joint from D’banj which he calls ‘Something For Something‘ he bring in award-winning rapper Cassper Nyovest. The new single comes just a week after his earlier released track ‘Shake It’ which had Tiwa Savage. D’banj again partners with Sony Music Africa for this one. 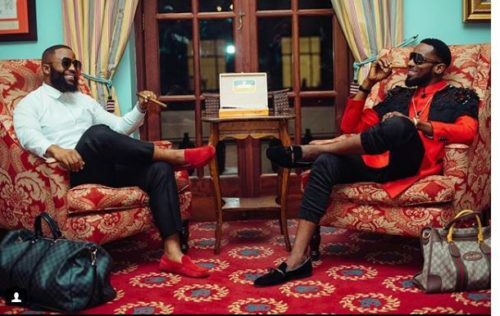 Listen to D’banj – Something For Something ft. Cassper Nyovest below. Kindly share!